Clint Woltering has been a member of the United States Naval Academy Band since 2007, performing as both a tenor and bass trombonist in a wide variety of ensembles. He has performed with the Baltimore Symphony, Washington National Opera, Baltimore Opera, Harrisburg Symphony, Richmond (IN) Symphony, Columbus (IN) Symphony, and Evansville Philharmonic. 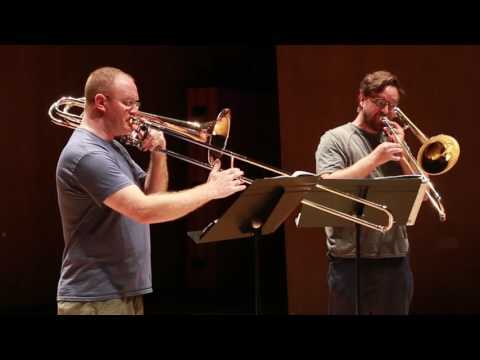 Additionally, he has been a member of the MOMUS Trombone Quartet, Victory Brass, and Washington Trombone Ensemble, as well as a featured soloist a the American Trombone Workshop. He received a Bachelor of Music Education Degree from the University of Kentucky in 2004 and also attended a year of graduate studies at Indiana University. Clint is an Edwards performing artist.